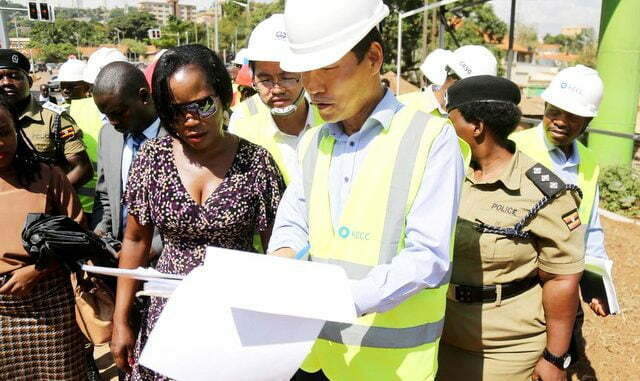 Ms Jennifer Musisi and other officials carrying out technical inspection and handover of Bukoto - Kira road project. Courtesy Photo. Kampala Capital City Authority (KCCA) will suffer a reduction of Shillings 248 billion in the 2017/2018 financial year in the works and roads infrastructure improvement sector. The reduction follows a decline in external funding, according to a Ministerial statement from the Authority. In the 2016/2017 financial year, KCCA received Shillings 280.8 billion under the Kampala Institutional and Infrastructure Development Project (KIIDP) phase two funded by the World Bank. However, the Authority is set to receive only Shillings 31.79 billion in the 2017/18 financial budget from external financiers. The authority has budgeted Shillings 118.98bn for the works and road infrastructure improvement sector in the 2017/2018 financial year. 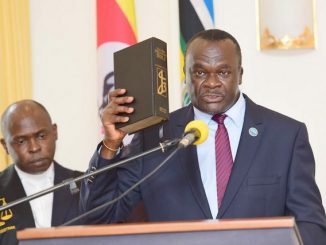 The Central government is expected to contribute Shillings 64.9bn, Uganda Road Fund Shillings 20bn, Local Revenue collection Shillings 2.2 billion and the Shillings 31.79bn from external funding. In the 2015/16 financial year, KCCA allocated Shillings 159.2bn to the works and road infrastructure improvement sector. Shillings 62.9bn came from the central government, Shillings 20bn from Uganda Road Fund, Shillings 72.1bn from external funding and Shillings 4.1bn from internal revenue. The total budget of the Authority in the 2017/2018 financial year is Shillings 337.39bn down from Shillings 561.33bn in the 2016/17 financial year. KCCA plans to spend Shillings 39.1bn on continuation of road construction works that started in the ending financial year, Shillings 13.2bn on drainage infrastructure projects, which also started this financial year and Shillings 31.7bn on the Kampala Institutional and Infrastructure Development Project. These include completion of the ongoing construction and upgrade of dual carriage on Makerere Hill Rd and Bakuli Nakulabye-Kasubi roads. Part of the Kampala Institutional and Infrastructure Development Project money will also fund improving drainage systems such as Nalukolongo and Kinawataka primary channels and completion of the Kampala traffic control center building at city hall. KCCA will also spend Shillings 9bn on commencement of construction of a number of road junctions. The junctions are part of Kampala Institutional and Infrastructure Development Project. 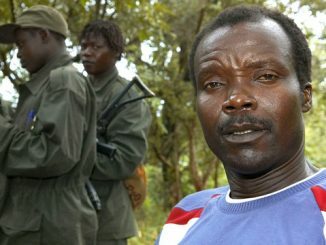 They are found along Acacia avenue, Nakawa Ntinda, Kulambiro ring road, Portbell road, spring road, sir Apollo Kaggwa road, Kabusu – Kitebi-Bunamwaya roads. The authority will also spend Shillings 20bn from Uganda Road Fund on road maintenance in the city while Shillings 3.57bn will be spent on maintenance of fleet, street lights, traffic lights and other mechanical works covering all divisions. A total of Shillings 2.29bn has been allocated to payment of wages for drainage casuals and repairs for motor vehicles. World Bank will in invest US$183.7m equivalent to Shillings 676bn in the second Kampala Institutional and Infrastructure Development Project. The project’s implementation started in 2015 and will end in 2019.